The Verso blog has a translation of a wide-ranging interview with Alain Badiou in which he discusses his most recent philosophical book, Emmanuel Macron, and the uses and abuses of the term “populism.” In the excerpt below, he explains why radical social change cannot happen through elections. Alain Badiou: I do not understand how people continue to think that elections are a free space in which the fundamental direction of a country can be determined. As former information minister Alain Peyrefitte rightly said when Mitterrand was elected: ‘Elections are about changing governments, not society.’ He told the truth, because this is a rule that everyone seems to have agreed. It means that the rulers of our society, who everyone knows are a small core of big capitalists, would not accept elections that do them harm. When things get a little too hot, when the risk is too great, they rally to the far right as their last line of defence. It is not extraordinary to say that elections are a consensual system in which the imperialist bourgeoisies thrive. I don’t think they’ve ever been used for anything else. In the United States, Donald Trump can be elected but never a communist. That is true everywhere. The parliamentary electoral system was invented by English imperialism and criticized by Rousseau in the eighteenth century. He explained very well why elections are not democracy. The great capitalist and imperialist powers built their fortunes on this. The sign that a power has reached a considerable degree of development and influence is marked by the fact that it adopts this system. I think the Chinese will say that an electoral system is better than the centralized system they have now. It enables them to accumulate capital very quickly. But sooner or later, the Chinese petty bourgeoisie will demand some satisfactions and freedoms. They will adopt elections because they have created ‘high-level capitalism’. So-called ‘revolutionary’ policy has nothing to do with elections. In certain circumstances, it may be interesting to stand in such competitions. But it is an obvious aberration to believe that this can lead to a ‘revolutionary’ policy. 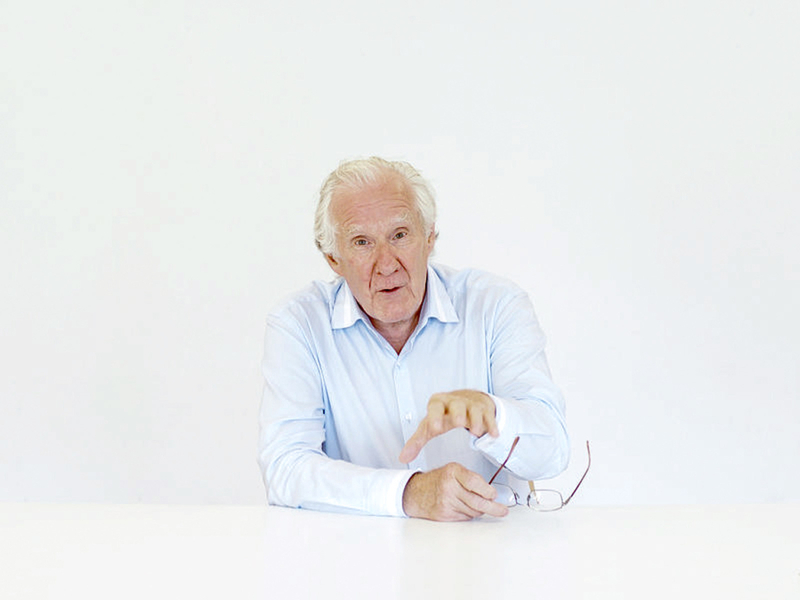 Image of Alain Badiou via European Graduate School. The bourgeoisie are compelled to be hypocritical and to describe as “popular government”, democracy in general, or pure democracy, the (bourgeois) democratic republic which is, in practice, the dictatorship of the bourgeoisie, the dictatorship of the exploiters over the working people. The Scheidemanns and Kautskys [fake left-wingers of the time - Chris], the Austerlitzes and Renners (and now, to our regret, with the help of Friedrich Adler) fall in line with this falsehood and hypocrisy. But Marxists, Communists, expose this hypocrisy, and tell the workers and the working people in general this frank and straightforward truth: the democratic republic, the Constituent Assembly, general elections, etc, are, in practice, the dictatorship of the bourgeoisie, and for the emancipation of labour from the yoke of capital there is no other way but to replace this dictatorship with the dictatorship of the proletariat. [end of Lenin extract from “Democracy” and Dictatorship, 23 December 1918]. Ignorance, confusion and feebleness on this question dominate all anti-Marxist politics, whether reformist, revisionist or Trotskyist. Inter-imperialist trade war and monopoly-capitalist “over-production” economic crisis are driving world history both towards World War 3 between the imperialist bandits and their proxies but also bringing the Third World to the boil of revolt too (initially in the form of jihadism because, broadly, the world communist movement stopped being revolutionary wherever they followed Stalinist directives so there was no fighting communist leadership to follow; and the Trotskyist “antidote” to this was cynical anti-Soviet anti-communism that fell for every CIA anti-workers-state stunt going, eg Solidarnosc, run by the Vatican and US intelligence). And this failure of leadership, perpetrated by revisionism and reformism, is still being digested by the world’s masses to eventually work its way through the system and go down the sewers, as it deserves. What, apart from CIA disruption, fascist death squads and US imperialist firepower, is holding everyone back in Colombia, Brazil and Venezuela? What is holding everyone back in Palestine, Iraq and Syria? What is befuddling the masses in France around the Yellow Vest movement? It is lack of clarity that world capitalist crisis is so acute now that Trumpite racist fascism is required to rabble rouse for US imperialist warmongering, given defeats in Afghanistan and Iraq, and that there will be no escape for the world from escalating global economic crisis except by socialist revolution. And this is combined with lack of clarity that ONLY the Leninist party-led dictatorship of the proletariat has sufficient conviction, power and inspiration for the masses by unleashing their revolutionary spirit, by expropriating the bourgeoisie, and by arming the revolutionary workers with theory and arms for a fight to the finish. Conversely, middle-class politics always cedes influence and control back to the bourgeoisie out of cynicism and fear about the imposition of working-class power. How did Brazil end up with the neo-fascist Bolsonaro as president? Thirteen years of Workers Party government doing NOTHING to end capitalism but only tinkering around and playing with social programmes ie. they were still running capitalism and accepting its state. They led the masses up the garden path. A lethal garden path of illusions in “democracy” - and they are still talking this anti-Leninist nonsense whenever I meet up with their representatives, still all pleading for “democracy” to be respected. Is Venezuela’s “Bolivarian Revolution” much different despite its Cuban advisers, who should know better, but don’t? The Chavez-Maduro “third-way, 21st century socialism” (hailed by Western fake “lefts” as the height of clever post-Soviet sophistication) still spend all their time telling us how their election wins should be respected by Washington and the rest of the West and have all been taken aback as economic crisis has combined with CIA machinations to rip the oil money away from Venezuela, leaving the country in desperate straits. Marx’s and Lenin’s understanding of what the imperialist world wants to do to any country breaking away from monopoly-capitalist control and the need for a workers state of total fighting preparedness remains a mystery to them for all their anti-Yankee talk. They are still amazed that the imperialist world robs all their money from them. They still refuse to expropriate ALL the Venezuelan bourgeoisie; the Maduro party still remains left-nationalist ie attempting to run capitalism progressively but calling it “socialism”. They still think they are being clever when they advise the Colombian revolution to give up armed struggle in favour of “participating in the political process”, which is seeing the politico-FARC leaders gunned down or “arrested as bandits” (meaning they will be tortured for names and held hostage against any sensible return to armed struggle). Look around the world for further proof of all these observations - from Macron’s soft-soaping of the French public aimed at resurrecting illusions in bourgeois democracy, to US cops gunning down the poor in America, to the ultra-controlled Thai elections ensuring military dictatorship remains in charge, to the Sisi coup in Egypt now busy hanging members of the previous elected Morsi government by the hundred, with the West’s love, support and billions of dollars in cash. As the Economic & Philosophic Science Review explains, only the socialist revolution and the party-led dictatorship of the proletariat has the power to end capitalist war, torture and exploitation. Time to study Leninism.